Alexandria Ocasio-Cortez was Right! Twice! In the Same Week! (Accidentally). It is often observed, and never in a positive way, that even a broken clock is right twice a day. 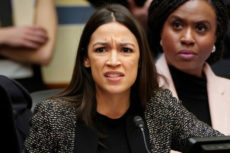 Alexandria Ocasio-Cortez — our twenty-something bartender-turned-congresswoman-turned-economist/climate scientist — managed to be right twice in the past week, which, while still falling short of the proverbial defective clock, is still quite an accomplishment for her. 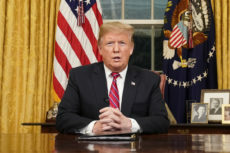 It’s About Time Someone Acknowledged the Border Crisis as a National Emergency! Copyright © 2019 by Conservative Opinion. Theme: DW Focus by DesignWall.